For all Twitter-admirers! 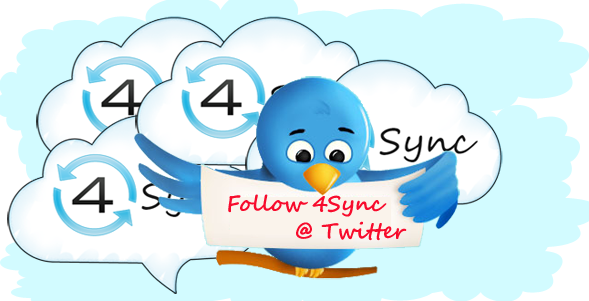 Now you can follow news and updates of your favourite 4Sync app at its Twitter-page! Read more for details. You like to travel? You like everything to be perfect and prepared in advance? You excited to share traveling photos and impressions? Or maybe it is necessary for you to stay in sync with work in your trip? With 4Sync everything is possible! If you plan to travel with comfort, our article is for you. With 4Sync you even can write a book! We asked one young writer about his literary experiment and about how 4Sync helps him in writing. You probably already have heard about the writer Peter V. Brett who wrote his novel “The Warded Man” in the New York subway on his 45-minute commute to work. And consequently his novel became a world bestseller. Many people were inspired by his example. Here is one of them! «Hello, my name is Arthur Clarkson. I’m a journalist and I want to become a real novelist. I would like to tell you about my life of the writer and how it became simpler owing to 4Sync. For me, as well as for any beginning writer, the main problem is an absence of free time. I work in the office and I can write the novel only in snatches. Another problem is that I spend a lot of time on my way to work. Two hours daily I just waste in the bus. During one of such trips I opened my laptop to write down few ideas for the novel, which came to my mind. Unexpectedly I was absorbed in work. I promised myself to type not less than 1000 words daily and 100-200 words in a lunch time. I synchronized all new records on my laptop, at work and on my home PC so as not to lose or delete my notes. For this purpose I used 4Sync. In the evening I switch on the computer, I open the synchronized folder and continue to write. This way I’m sure that my book won’t be gone anywhere. I can say that 60 % of the book is already written at lunch or on my way home. I save much time with 4Sync because I don’t have to send files to myself constantly. Dear writers and everybody else! I recommend you to synchronize documents with 4Sync! Back up your downloads to 4Sync! Often during the cleaning up of the computer we delete our “Downloads” folder thinking that the stuff which is inside of it is unnecessary to us. 4Sync offers you very comfortable decision, so that to save your downloads and make your computer free from useless at the moment stuff – back up your downloads to 4Sync! Read how to do that. 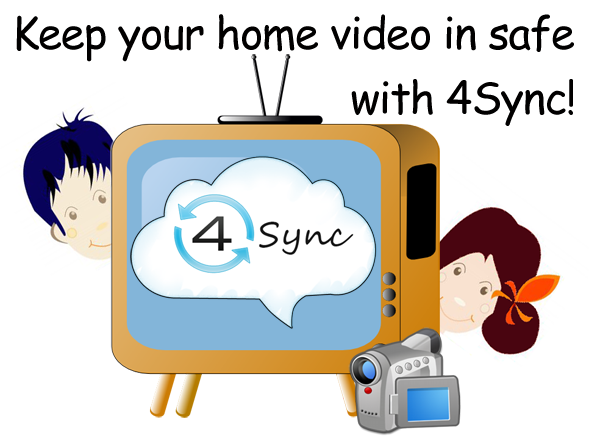 4Sync – the best home video storage! Your home videos are taking too much place at the computer?! Use 4Sync and the best moments of your life will always stay safe, in order and at hand! Are you looking up for a convenient service for collaborative work? Hmmm… You’ve already found it – do that easy with 4Sync! Cloud computing and cloud storages, such as 4Sync, can reduce energy consumption of IT firms, all over the world. You still don’t backup important business files with 4sync? I strongly recommend you to grow it into a habit. It will allow you to save time if something happens to your computer. This post will be about evolution of information storage. With pictures and examples. This post will be useful for pupils and students.